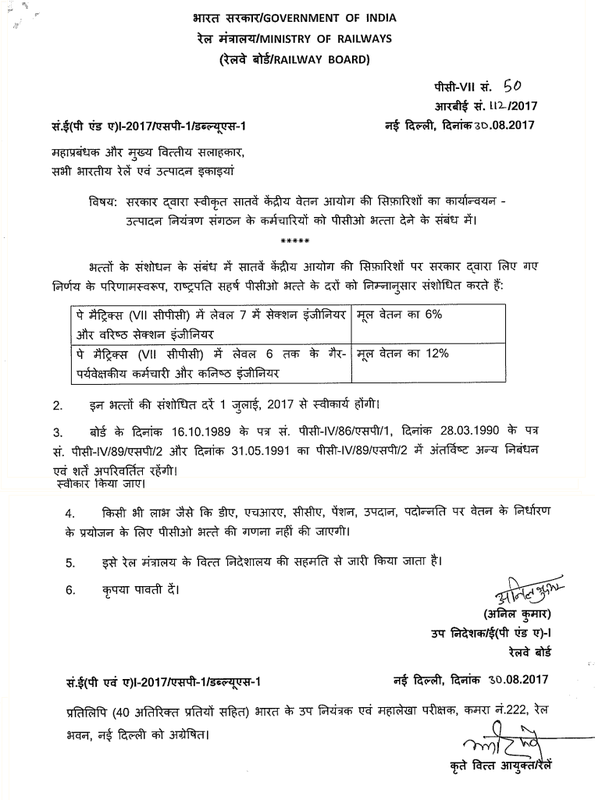 New Delhi: Government of India, Ministry of Railway has issued orders regarding Implementation of recommendations of Seventh Central Pay Commission accepted by the Government - relating to grant of PCO Allowance to staff of Production Control Organization on 20 August, 2017 to The General Managers and Principal Financial Advisers, and All Indian Railways & Production Units. The revised rates of allowance shall be admissible with effect from the 1st July,2017. All other terms and conditions envisaged in Board's letter Nos. 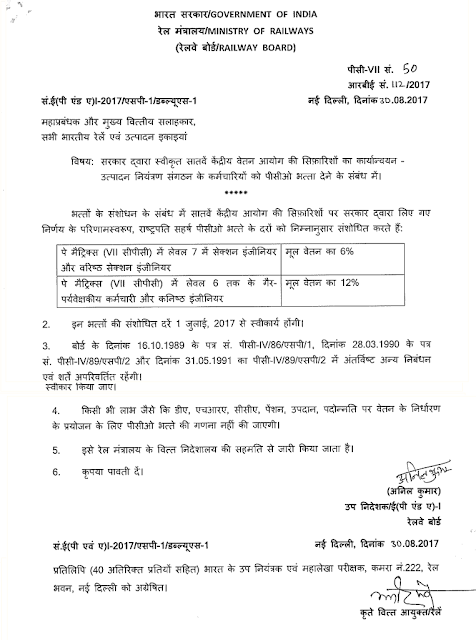 PC-IV/86/SP/1 dated 16.10.1989, PC-IV/89/SP/2 dated 28.03.1990 and PC-lV/89/SP/2 dated 31.05.1991 shall remain unchanged. The PCO Allowance will not be reckoned for any benefit such as DA, HRA, CCA, pension, gratuity and fixation of pay on promotion.